Rasika’s health was very poor when she joined Bridge of Hope in 2004, but through the nourishing meals and attentive care of the staff, her health has greatly improved. Something was wrong. Rasika couldn’t focus at school. She missed some of her classes, and she was too tired to study when she got home. Her parents watched their child deteriorate, not knowing what they could possibly do to help. 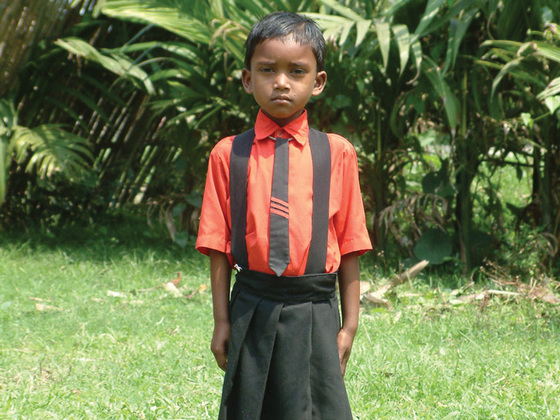 Rasika’s condition only grew worse, leaving her weak and sickly, and hindering her ability to grow into a healthy member of society. But things didn’t stay that way forever. Rasika enrolled in a local Gospel for Asia-supported Bridge of Hope center, and the staff were able to help her in her time of need. These men and women prayed for her specifically during their devotion times and gave her extra attention and help while she was at the center. Through Christ’s love, their encouragement and motivation had a tremendous effect on Rasika, as did the nutritious meals she received as part of the program. What’s more, as the staff went to her home to speak with her parents, they helped her mom and dad understand some simple and practical changes they could make to help Rasika grow and develop properly. When parents come to thank the staff at Rasika’s Bridge of Hope center, as many do, it encourages the staff to keep pressing on to love, pray for and encourage the children they work with. We hope it is the same for you—that the stories you read in this and other issues of Harvest encourage you to love the Lord more and help you see that your life is truly making a difference! A Jesus Well Was the Ticket! Next: A Jesus Well Was the Ticket!